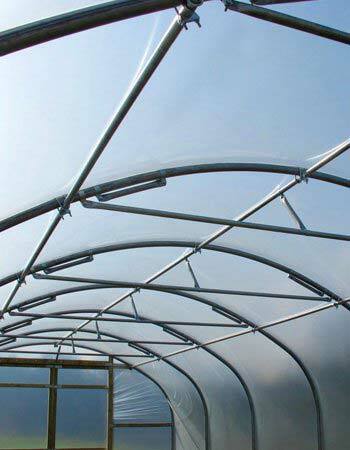 For over 20 years we've been leading the way in the supply of both 'Domestic' and 'Commercial' Polytunnels. 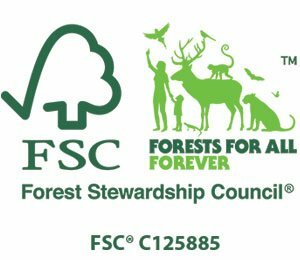 We've helped extend the growing season for gardeners big and small...whether you're growing fruit and vegetables for you and your family or commercial crops, plants and flowers. 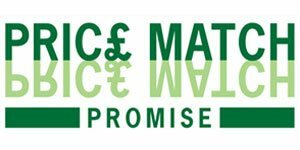 We also work closely with Schools...bringing the outdoor classroom to the next generation. We've even supplied celebrity gardeners including Alan Titchmarsh, Hugh Fearnley-Whittingstall and Bob Flowerdew, to name but a few...all proud owners of our Polytunnels. 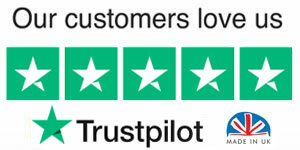 All First Tunnels Polytunnels are made to the same exacting quality standards..we simply call the bigger models 'Commercial' But whether you’re growing for fun...or growing for profit...the choice of a 'Domestic Polytunnel' or 'Commercial Polytunnels' is entirely yours. 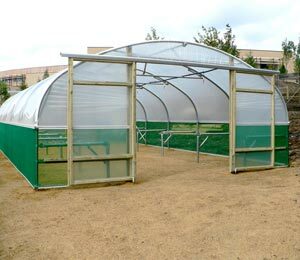 A polytunnel is an elongated semi-circular or square shaped tunnel. It is most often constructed using steel and is covered in polythene. 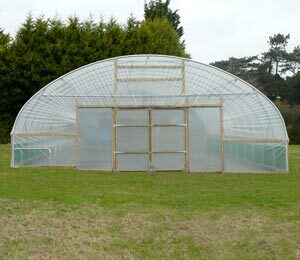 Polytunnels come in a range of sizes and are used to keep plants, vegetables and fruits warm enough to grow in temperate regions. It can also enable you to grow fruits, vegetables, and plants out of season. 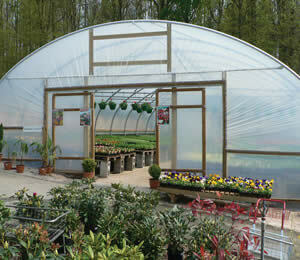 Within the polythene tunnel, the temperature and humidity are higher. Crops and plants are also covered which means they are not exposed to heat, cold, rain, wind and strong sunlight therefore, they will continue to flourish even during adverse weather conditions. 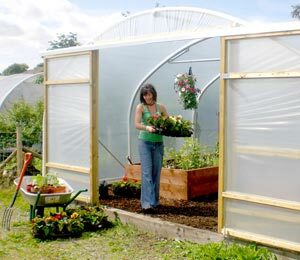 There are many benefits to owning a polytunnel but one is the fact that as a semi-permanent structure, they can be moved if necessary to another location in your garden, unlike a greenhouse. 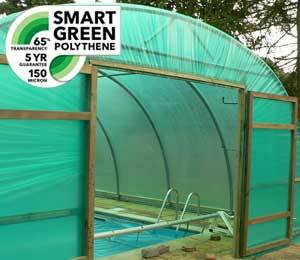 Growing herbs, fruits and vegetable crops has never been easier with a polytunnel - Learn more about polytunnels. 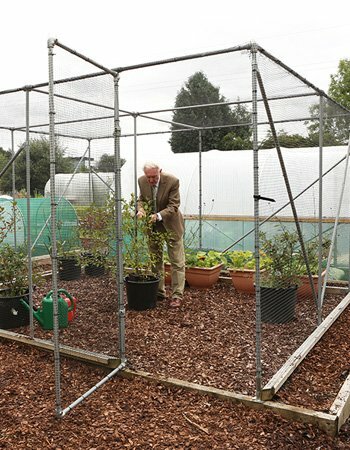 For years, the gardener has chosen the greenhouse as the tool of choice for sheltering tender seedlings and plants but more and more of us are turning to polytunnels. What do they offer the gardener? 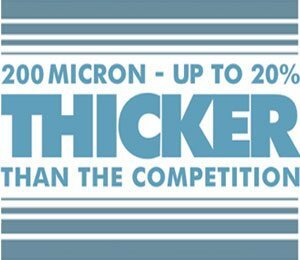 More for your money – for the same price as a small greenhouse, you can have a much larger polytunnel and that means more growing space! 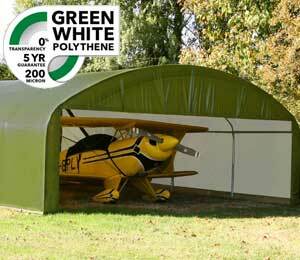 Easily extendable – plan on a bigger polytunnel in the future? 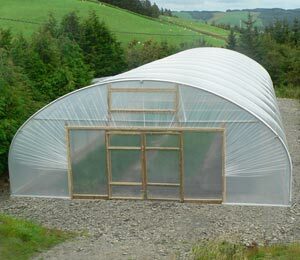 Not a problem because your current polytunnel can be easily extended. 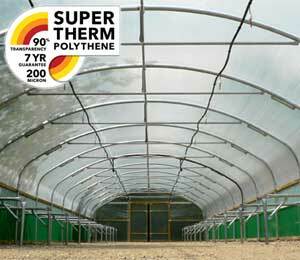 Manage temperatures easily too – you want warmth in the tunnel but too much heat can kill off plants and seedlings. With double doors either end, the temperature is easily controlled as are pests and other problems such as fungal spores. 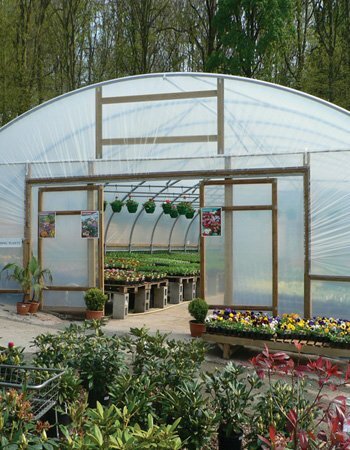 Protection no matter what the weather – from gales to autumn rains, to days of endless heat and sun, you control the polytunnel climate and that means success no matter what the weather. 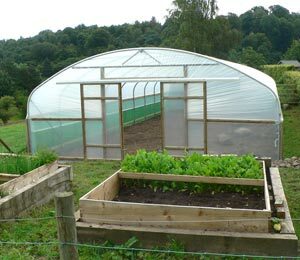 Commercial food growers have long realised the benefit of commercial polytunnels and with polytunnels of all shapes and sizes, the domestic gardener can enjoy the same great benefits with domestic polytunnels. 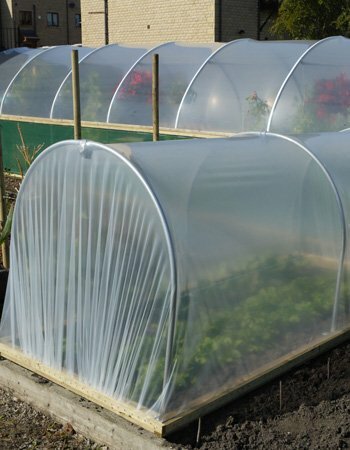 How Much Do Polytunnels Cost? 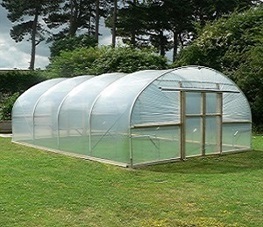 When compared to a greenhouse, the cost of the polytunnel is much lower and this means your budget will stretch further. 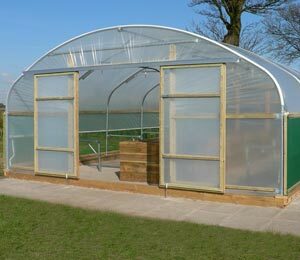 Not including delivery or installation costs, the savings compared to a greenhouse can be hundreds of pounds. 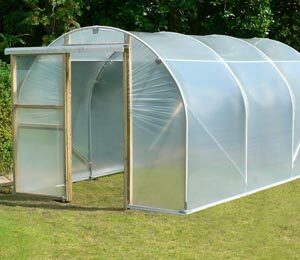 A basic no-frills greenhouse measuring 6 by 8 foot will set you back at least £400 with the equivalent sized polytunnel costing nearly a hundred pound less. 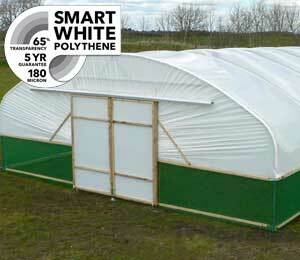 For just over £400, you could have a 6 foot by 20-foot polytunnel – just imagine all that extra growing space! 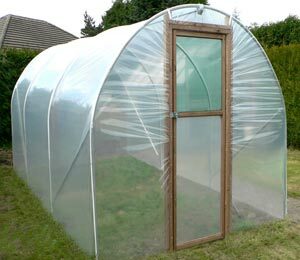 Add to the fact that with a polytunnel, there is no need for a base and maintenance costs are lower too – no glass panes to replace! 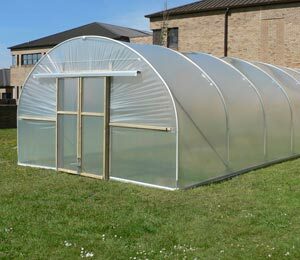 You can see why the commercial grower and domestic gardener is looking to the polytunnel as the solution they need. 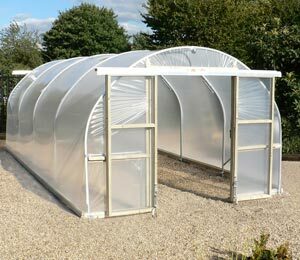 And with our great prices and our no-catch Bonus Save Scheme, along with helpful advice and after sales support, there is no better place to buy your polytunnel than from First Tunnels. 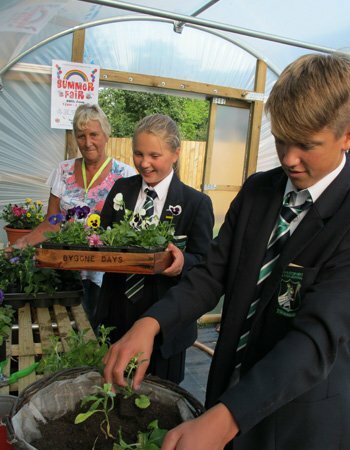 The polytunnel is a hive of activity all year round with the seasons of spring, summer and autumn seeing it burst at the seams with all kinds of plants. 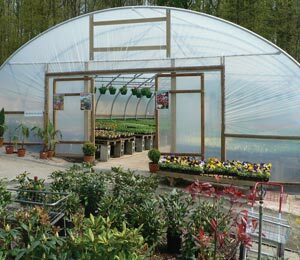 From exotic plants and crops to raising seedlings, the polytunnel creates the ideal microclimate for all kinds of plants and crops. 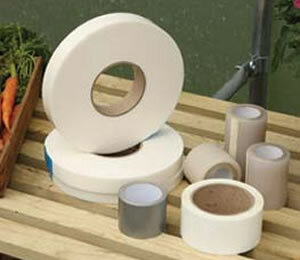 Because it protects plants from the weather, it presents a more manageable and stable environment. This means that the growing season is extended so you will still be picking fruits and vegetables late into the autumn. But it also means you can start to plant earlier in the year too. And to prove it, there are many accolades being collected by commercial growers and domestic gardeners. Farmer and food producers are winning industry awards for growing vegetables and fruits that would normally struggle in our notoriously changeable weather patterns. For example, growing varieties of chillies in polytunnels here in the UK, widening choice for the consumer. And Chelsea Flower gold medal winners use polytunnels to grow key plants for their upcoming garden designs over many growing seasons, again because the polytunnel is the ideal growing environment. 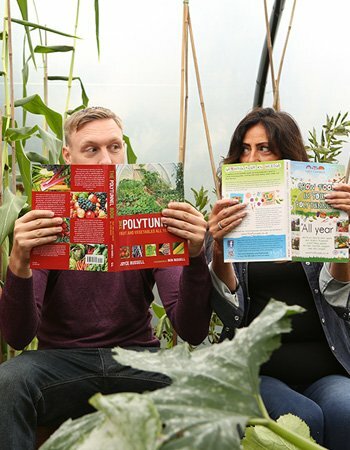 Growing in the tunnel is not difficult but you will need to make changes to your normal planting and growing routine but we have it covered with our growing guide for every month of the year. Why not join award winning gardeners and commercial growers by growing a fantastic range of fruit and veg? 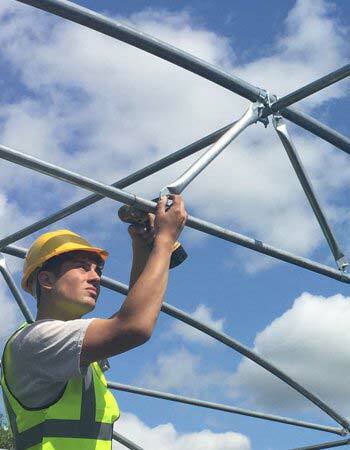 Building your polytunnel needn’t be a hassle with our expert construction team. 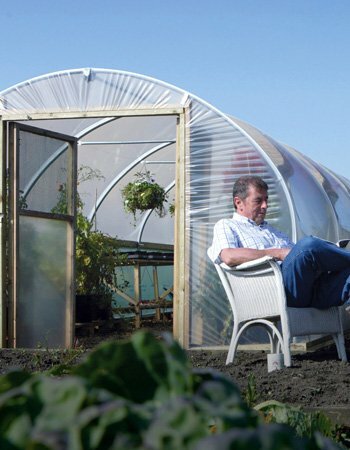 You can, of course, install the polytunnel yourself and with our easy to follow instructions, this is a possibility! 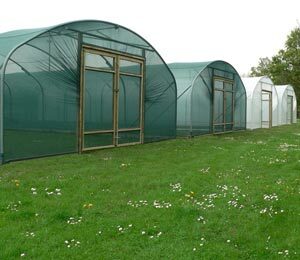 Prepare the site – the first thing you need to do is to clear the site of your proposed polytunnel of all vegetation. The better you prepare the ground, the more likely it is you will have a smooth build process. 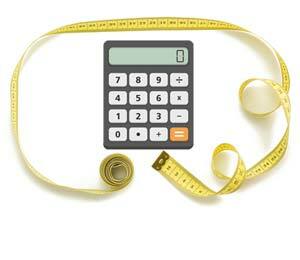 Get organised – not only will you need some basic tools, you will need to family and friends to help out too. Set aside plenty of time so that you get it right. Dig the holes – each of the support struts will need a firm foundation in order to carry the weight of the structure and withstand the weather. You will need to accurately measure the site of the polytunnel too. Construct the frame – this is like a giant puzzle, making sure that all the right pieces are connected together to make the giant hoops, with storm braces, that form the tunnel structure. But there is no need to worry, we have all the helpful instruction guides and videos you need. 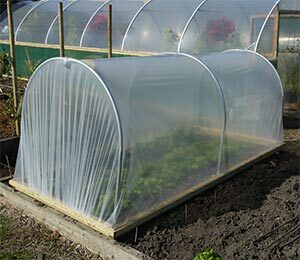 Pull the polythene over – with the main structure in place, including the ventilation and doorways you can do the exciting bit – pull the polythene over the hooped supports – and by securing the polythene in place you have a polytunnel that will stand firm for years to come. Or you can rely on our construction team to do it – the choice is yours!